Make your pet a star! It’s that time of year again. We are seeking your best animal photos for our 2015 calendar. Last year we received over 200 submissions. There were so many great ones to choose from, it was really challenging to decide which ones to use. We regret that we could not use all the photos submitted. We’re asking you to send us a favorite photo or two of your dogs, cats, hamsters, birds, any animal you care about, even one of a backyard squirrel or raccoon will be considered, as long as it’s a good and interesting photo. Please send your photos by email to bhannable@gmail.com. Since we hope to get the calendar printed in October, the deadline this year will be August 20th. Photos should be good quality, not blurry or too dark, or with no people or parts of people (hands, feet, etc.) in them. Please identify the animal(s) by name and state the owner’s name. We will not print owners’ names, but we need them in order to keep track of photos submitted. Preference will be given to rescued animals and those adopted through FOBA, so please let us know if your pet was adopted from FOBA, a shelter, or other rescue organization. We will do our best to acknowledge all photos received. 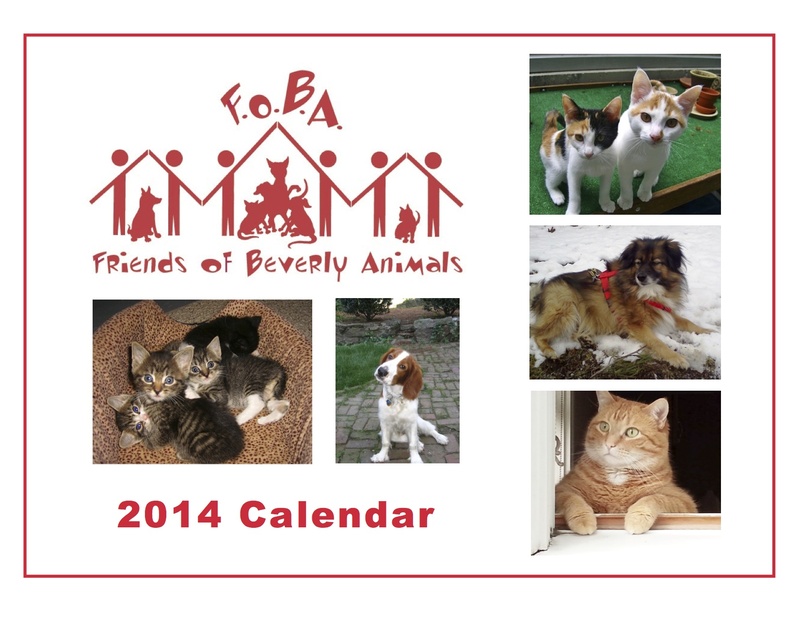 Please share this message with anyone you think might be interested in having their pet in FOBA’s 2015 calendar. The cover of last year’s calendar is shown below, to give you an idea of what we are looking for, in case you’ve never seen one of FOBA’s calendars. We usually sell the calendars for $12 each and that will probably be the price again this year. For anyone who would like to place an ad in the calendar, the prices are $25 for a business card ad; $50 for a half page and $100 for a full-page ad. Advertising space is limited. If you had a pet in the 2014 calendar, we hope that you enjoyed seeing your furry friend there, and we hope you’ll submit another photo for the coming year. If your pet didn’t make the 2014 calendar, please try again. Whether you sent us photos and/or purchased a calendar last year, we want to thank you again for your support. 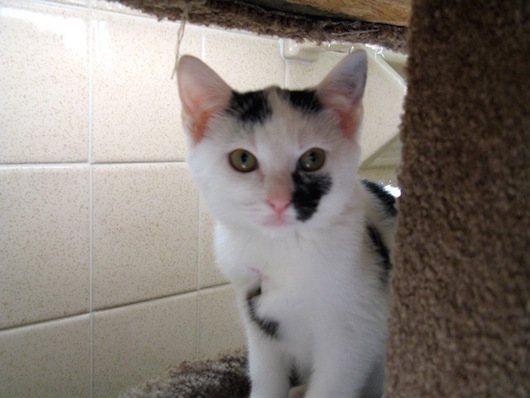 We will keep saving animals in need and pursuing our dream of one day having a shelter in Beverly. If you have any thoughts about how we can reach that goal or questions, please let us hear from you! Thanks so much. P.S. Our main fundraiser for the year, the Fur Ball, is coming up in October. Stay tuned and check our website friendsofbeverlyanimals.org and Facebook page for details.